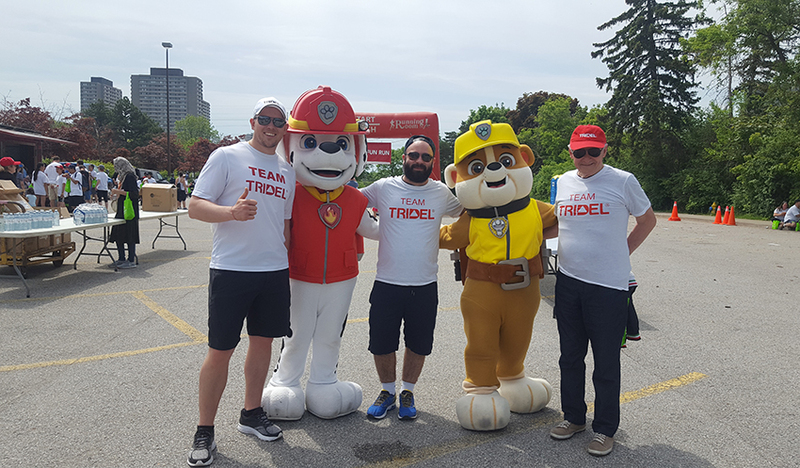 On Saturday, May 25th, 2019, join Team Tridel and hundreds of other participants for the 35th Annual Walk of Life. The annual Run/Walk supports the Cardiac Health Foundation of Canada and is a great way to spend time with the entire family. Participants can choose between a 1 KM, 3 KM & 5 KM Walk of friendly competition in support of an important initiative that helps transform the lives of people suffering from heart disease. Young kids will love the live entertainment, Ontario Science Centre educational modules, prizes and more. And kids of all ages will love the Toronto Blue Jays mascot “ACE” and BBQ lunch available after the event. Currently, about 2.4 million Canadian adults are affected by heart disease. However, the disease is not just limited to older Canadians. As many as 38,000 Canadians aged 20 to 39 years old were living with ischemic heart disease (IHD) and over 35,000 Canadians aged 40 to 54 years old were living with heart failure in 2012–2013. The walk aims to raise funds in support of over 25 cardiac rehab programs across Canada and cardiac health-related organizations, such as the University of Toronto’s Dr. Terry Kavanagh Heart Health Lab, Canadian Congenital Heart Alliance, The Canadian SADS Foundation and the Mikey Network. This year, the Walk of Life will be honouring the vision and work of Dr. Kavanagh, a former Chief Medical Officer and Honorary Patron of the Cardiac Health Foundation of Canada. Dr. Kavanagh founded the Walk of Life in 1984 and was instrumental in championing Cardiac Rehabilitation. The Cardiac Health Foundation of Canada is also celebrating another milestone this year; the opening of the 1st Paediatric Exercise Medicine Room and Cardiac Rehab Program for kids and adolescents in Canada at the Hospital for Sick Children! They still need our support to help fulfill their commitment of ensuring this program continues with state-of-the-art equipment for years to come, and get young heart patients moving so that they not only survive but are able to live long and healthy lives! The Walk of Life has been supporting these initiatives and programs for 35 years and is one of the main fundraising events in the Cardiac Health Foundation’s yearly calendar. Watch the Cardiac Health Foundation Healthy Hearts Chef Challenge and see first-hand how the Cardiac Health Foundation is helping change lives. But they need our help to continue their ground breaking work on research and funding for programs. Your participation and generous support for the WALK OF LIFE will help do that! 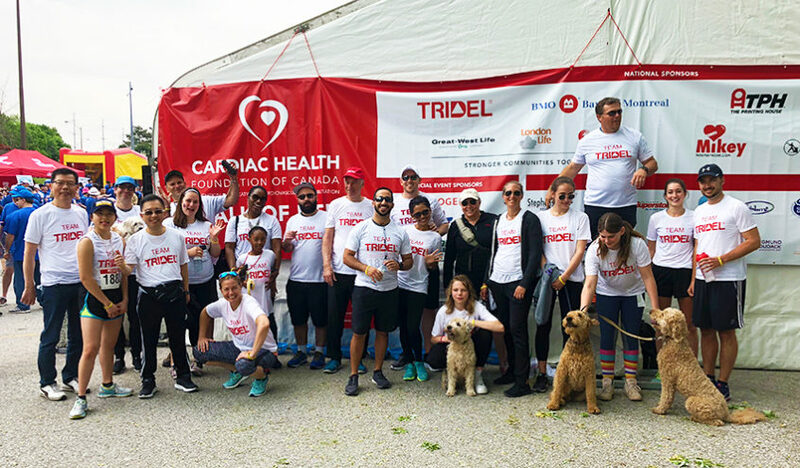 Register, Fundraise or Donate for this year’s event and join Team Tridel and hundreds of others as we walk, run and participate to help conquer Heart Disease in Canada! Global News, Heart Month: healty lifestyle can help prevent heart disease, but biology still a factor, February 1, 2019. Government of Canada, Data Blog, Heart disease in Canada, May, 31, 2018.